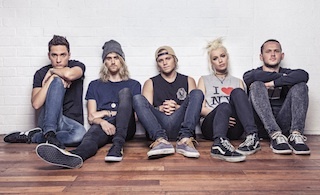 ATP's favorite Australian pop/rock quintet, Tonight Alive are now streaming their brand new album The Other Side in its entirety (with track by track commentary from vocalist Jenna McDougall)! So what are you waiting for?! You can now listen to the record in full below. The band's sophomore full-length will officially be released on September 10th via Fearless Records. A variety of pre-order bundles can be found here.